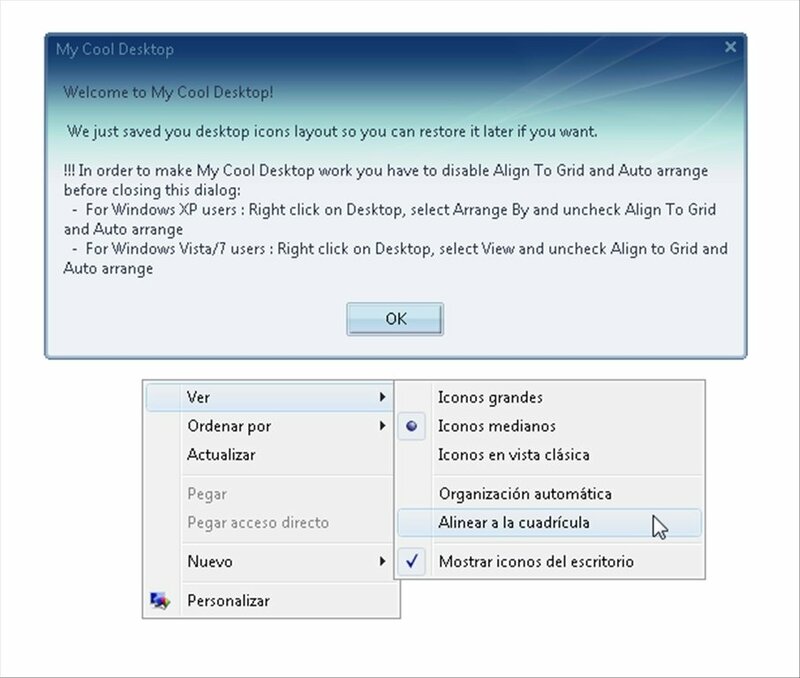 Customize the appearance and general aspect of your desktop with the help of My Cool Desktop. Normally the desktop is a free play area for the icons. 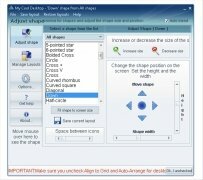 But once you download My Cool Desktop you will be able to organize all of them with a single click, using all types of shapes, whether circles, hearts, stars or many more. 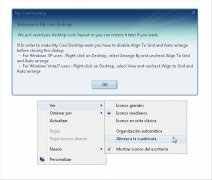 Organize the icons of your desktop in 77 different shapes and styles and provide your PC with a certain level of originality. The distributions are organized into five different categories: basic shapes, Christmas, nature, objects and others. 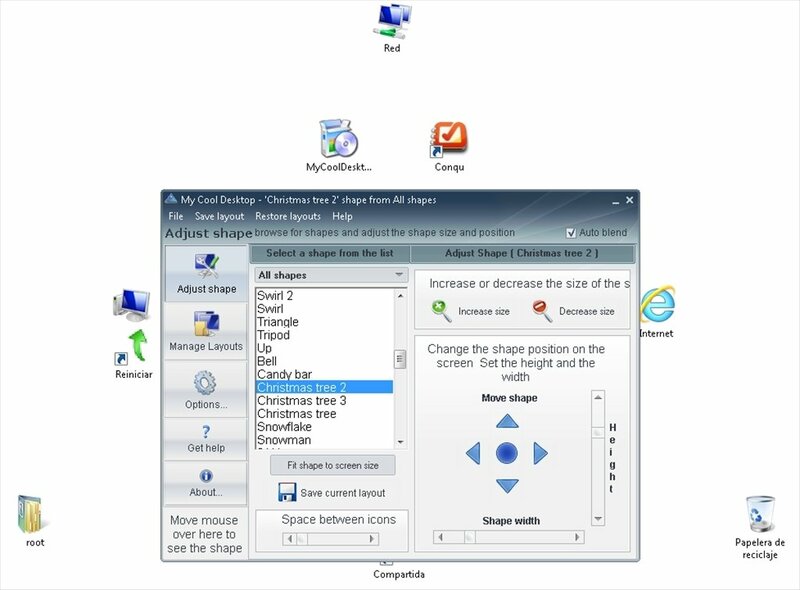 Save and restore different distributions with their corresponding description. 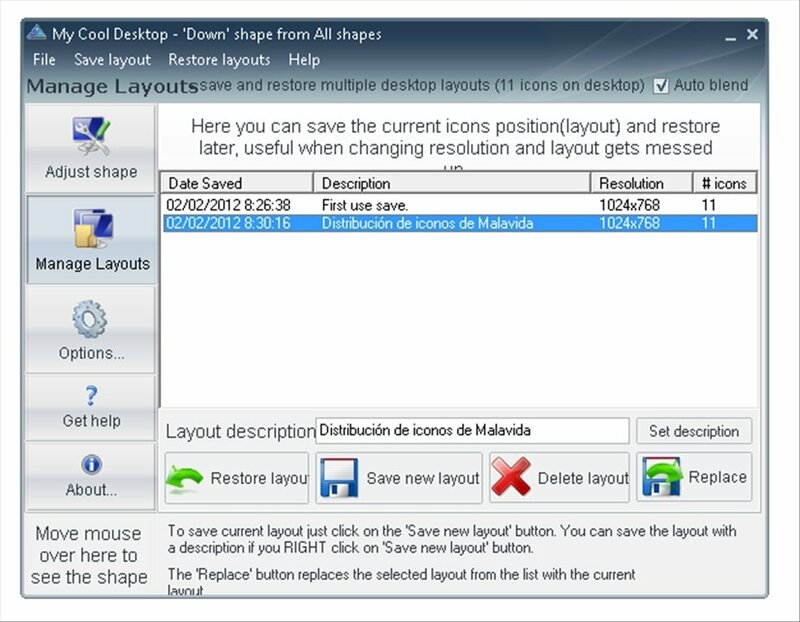 Thus, you'll be able to recover your desktop's aspect after you change your screen resolution for example. 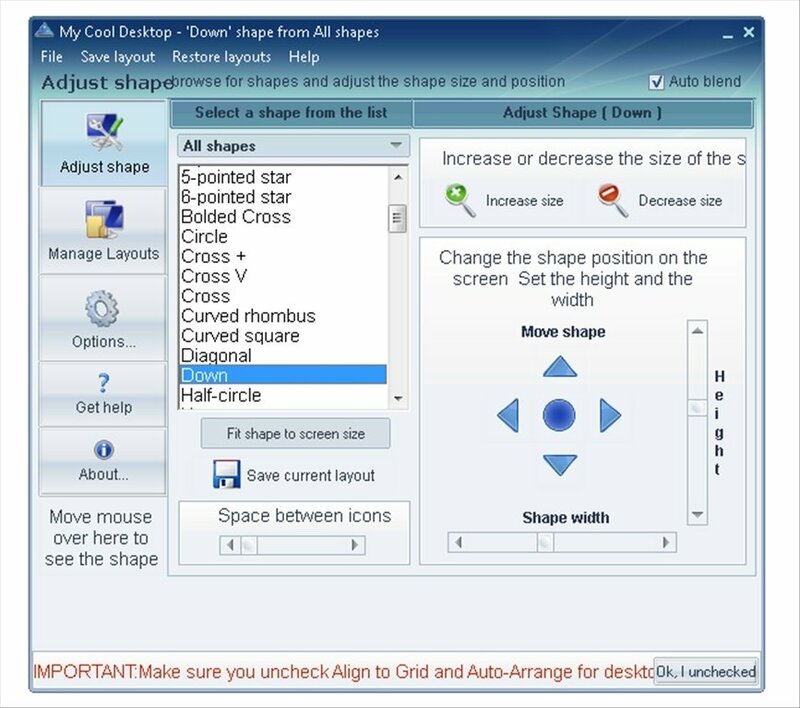 For My Cool Desktop to be able to perform you need to have a minimum of 10 icons on your desktop. 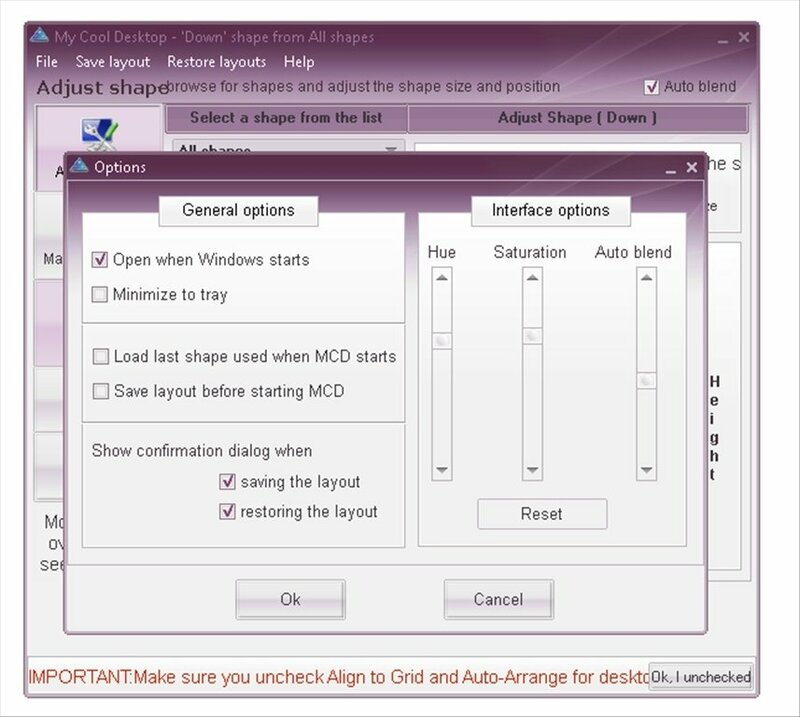 Furthermore, you will have to disable two options from the context menu: press your right mouse button to disable the “Automatic organization” and “Align to quadrant” options in the “View” menu. 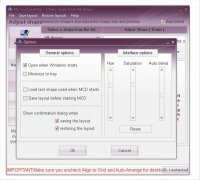 The application can be minimized to the system tray to avoid interfering and you can activate the possibility to run from the Windows start up. Download My Cool Desktop and you'll have an entertaining desktop full of shapes. 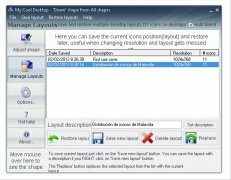 This download requires an active Internet connection to complete the installation.